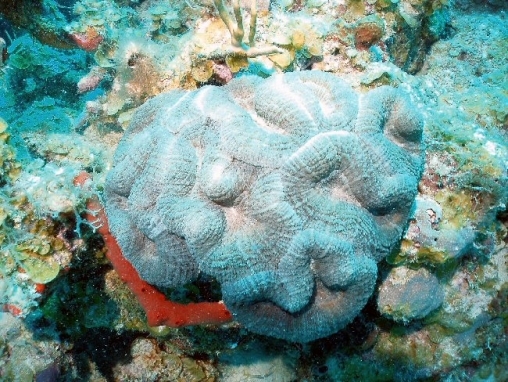 This coral forms clumps of very large, fleshy polyps. 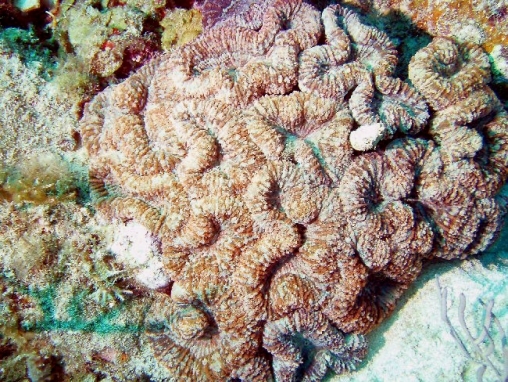 Colonies may reach 50 cm across and each polyp may exceed 7 cm diameter. 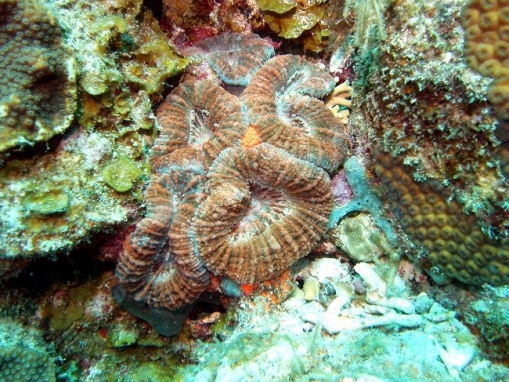 Each polyp is fleshy, and each is separated from the others, though some small series of two or three polyps are commonly seen. Colonies themselves are flat, low domes, and although each polyp is located on the end of a short branch, their fleshy nature can make them appear as one continuous mass. Colours are varied: red, blue and green tints may dominate or mingle in with grey. 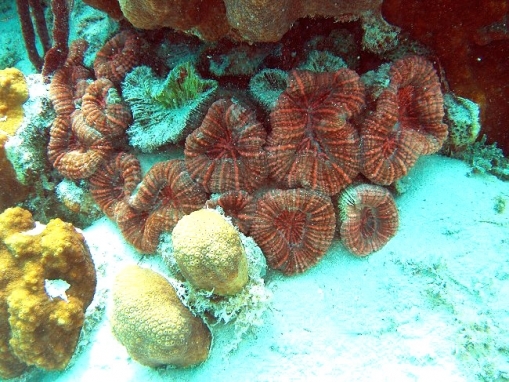 In daytime this coral may be seen in two states: with tightly retracted tissues when the individual corallites are clear, or slightly inflated with soft tissue covering the gaps between the polyps. The latter commonly appear to be more varied in colour.